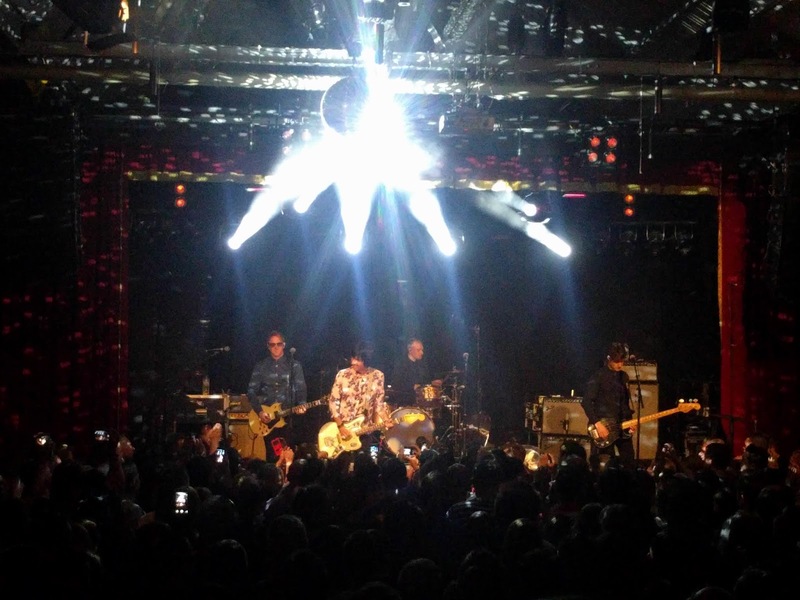 I've been waiting for a chance to see Johnny Marr since his comeback in 2013. For some reason I've since forgotten, I missed my chance to see him at Fun Fun Fun Fest in 2013, which was the only time he played somewhere I was living. After the initial hesitation of having to deal with Ticketmaster, I gave in and bought a ticket. After years of collaborative projects, Johnny Marr's debut solo album Boomslang (2003; credited to Johnny Marr + the Healers) was lackluster and hasn't aged well. Marr tends to ignore it, perhaps deservedly so, and prefers to count his albums starting with The Messenger from 2013. It's a respectable album with a refreshing burst of energy and enthusiasm, even if the second half doesn't hold up to the first. This was followed quite rapidly by Playland (2014), which mostly followed in the same vein, albeit less successfully. Adrenalin Baby, a live album from 2015, was rather unexciting except for the Smiths songs, "Getting Away with It", and "I Fought the Law". Marr then took a break for a couple years. He hasn't yet released his new album, Call the Comet, but the two advance singles are telling: "The Tracers" picks up where Playland left off, and "Hi Hello" is a moodier number with a guitar line that quotes from "There Is a Light That Never Goes Out". The concert was just about what I expected: a bunch of new songs, a few cuts from recent albums, and several classic Smiths renditions. The new songs were decent; a few were noticeably dancier, the singles were particularly strong, and a couple were a bit dull. It was a lot of new material, but it didn't wear me down. However, I was surprised that they only played three songs from previous albums. The Messenger had a number of songs that I would've gladly seen on the stage. The Smiths songs (and "Getting Away with It") were the natural highlights. None of the choices were a surprise (except for maybe "Last Night I Dreamt That Somebody Loved Me"), but they were all executed with skill and taste. 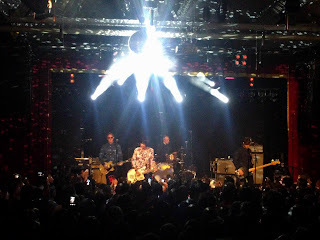 They played the songs fairly conventionally, with Marr singing with Morrissey's meter and melody, but without his flair and whimsy. In each case, the songs were slightly extended or rearranged to emphasize the instrumental guitar jams. As always, most of Marr's instrumental breaks weren't necessarily what you would call a solo. He didn't bother with any wailing or shredding. He focused on melody, emotive phrases, atmosphere, crescendoing energy, and interplay with his bandmates. (These are the marks of a truly skilled guitarist!) Instead of aggression and pure showmanship, he worked with mood and texture. This has been less obvious in his solo work, but still present. When he plays the Smiths songs live, it's an impressive sight and sound to behold. His backing band was solid, even if they mostly kept to the background. It's the same crew that appears to have been backing him since 2013: James Doviak on guitars, keyboards, and backing vocals; Iwan Gronow on bass and backing vocals; and Jack Mitchell on drums. The backing vocals were a nice touch, but they rarely tried anything as fanciful as harmony. Doviak's guitarwork was occasionally indistinguishable from Marr's, although he never took a solo. He mostly played the strummed or jangling patterns that underpin the songs, but he regularly committed the unnecessary sin of using an acoustic emulator with his electric guitar instead of just playing a proper acoustic guitar. The band used samples for some parts, although thankfully not for "How Soon Is Now?" (as far as I could tell!). 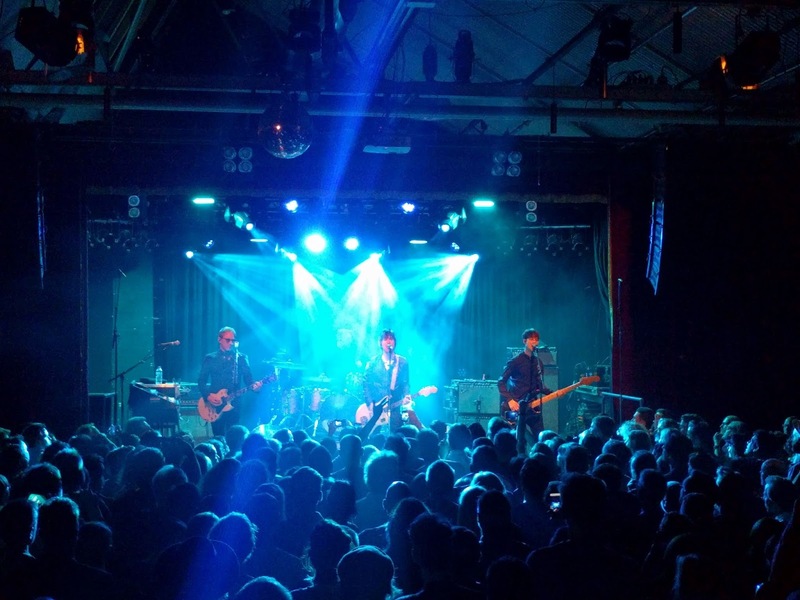 Marr's recent solo albums were hailed as returning to his classic style, despite that in reality they sound more similar to the Britpop and alt-rock that was inspired by The Smiths. There's less subtlety, less acoustic guitar, more dance-oriented drums and production, and a thicker layer of sound. The bass and drums, while not without their moments, lack the finesse and delicate interplay of Andy Rourke and Mike Joyce. Marr's vocal style is not particularly similar to Morrissey's, and he thankfully doesn't try to copy it. Lyrically, he clearly has ideas, although he doesn't always find the best means of expressing them. Both Morrissey and Marr initially declined to play Smiths songs after the breakup of the band, and both also seemed to consciously move into other styles. Morrissey slowly let Smiths songs back into his repertoire in the mid-90s and 00s, but Marr waited until 2013 to play them again. While Morrissey has had his ups and downs over the years, Marr has kept a steady pace, albeit less prominently. His years of consistent hard work may be paying off. In light of Morrissey's worsening public stature and meager recent albums, Marr seems to have become the proper heir to the Smiths crown at present.